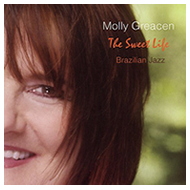 Check out Molly's CD. Click in the menu bar above to hear the songs. To download songs, right click (Mac users control-click) on the link and select download linked file.